Another Live Dexter 'Wrap-Up' podcast coming this Thursday 7/18, this time at Comic-Con 2013. 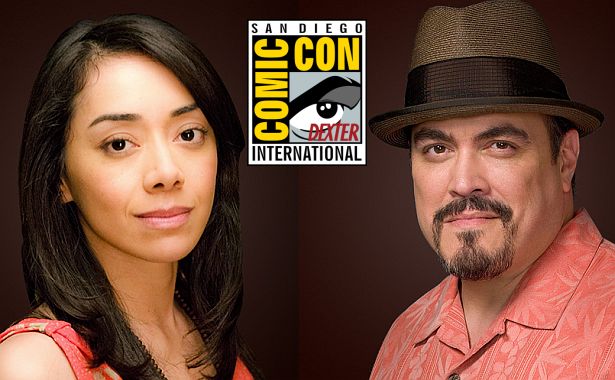 Co-stars Aimee Garcia and David Zayas aka Jamie and Angel Batista respectively, will be Scott Reynolds' upcoming guests. If you're going to attend Comic-Con, don't miss it! 2:30 pm, at the Entertainment Earth booth.